Welcome to No. 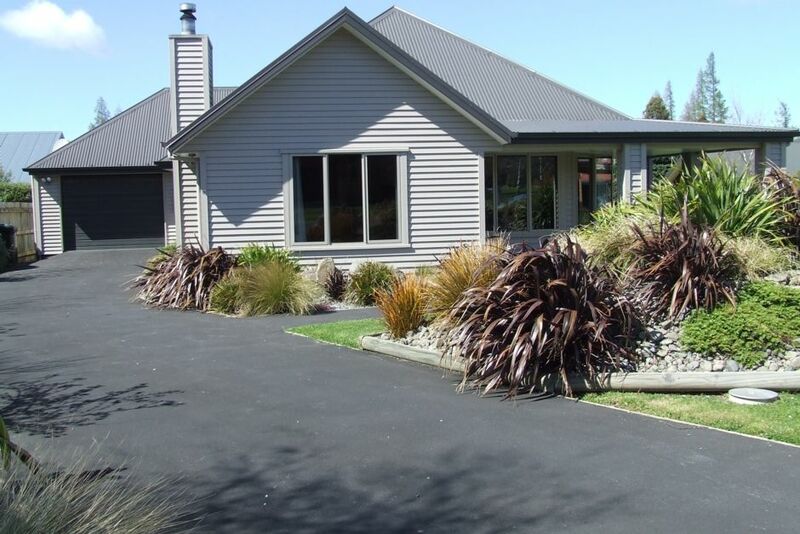 9 Devon Street, a modern, comfortable, warm home which is ideally suited for your next relaxing break away or holiday in wonderful Hanmer Springs. Please make an enquiry if you would like a 1 night stay, we may be able to accept. Sit back, relax and enjoy panoramic views to the mountains from this quiet location. The town centre is just an 8-10 minute walk from our home and offers you the famous thermal pools and spa, and a variety of shops, cafes, bars and restaurants to suit all tastes. Hanmer Springs is also a haven for activity and adventure, including mountain biking, forest walks, skiing, flying, jet boating, golf (a 3 minute walk from our home), quad biking and much, much more. Hanmer Springs has something for everyone, any time of the year, so what are you waiting for, book your next holiday accommodation with us. Tenants are required to clean our home upon departure however we do offer an optional cleaning service (excluding bed making and dishwashing). The cost of this service is $100. Minimum 3 night stay on holiday weekends i.e. Canterbury Anniversary etc. We have an age restriction of 20+ years on all members of group bookings, other than family groups. $200 for one night stays, minimum 2 night stay at weekends - Friday - Sunday, minimum 3 night stay long weekends - Queens Birthday, Canterbury Anniversary, Waitangi, Easter. A very comfortable home in a quiet setting. Nightstore which is left on between bookings during the winter months and electric panel wall heaters in each of the bedrooms. Large table and 4 stools for additional dining at breakfast bar. The Thermal Pools are truely amazing and please also consider visiting the Spa for a treatment, or two. A visit to Hanmer is always perfect whether it is relaxing in the pools or biking/walking in the forests. We are sure that you will find something that makes your stay perfect and memorable. This property was excellent- quiet, clean,and comfortable for our family. We found it to be in a good location, just a short walk to the town for us, and right near the golf club. We would recommend it to anyone requiring holiday accomodation in Hanmer. Lovely house to stay in. A short bike to township. Spacious. Everything we needed. My dad was very pleased he still got to watch his rugby! Spacious, comfortable, moderm. A very lovely place to stay. Spacious and comfortable house. Well set up for children. Lovely ensure. Not far from pools and shops. the house was perfect, and more than met our needs and exceeded our expectations. Hanmer Springs is known best known for the thermal pools and mountain biking/hikes but has many other activities for all ages including golf (mini and 18 holes), bungy jumping, wineries, quad biking, horse riding. Hanmer also has some wonderful restaurants, cafes and bars. Come visit to enjoy all that Hanmer Springs offers.